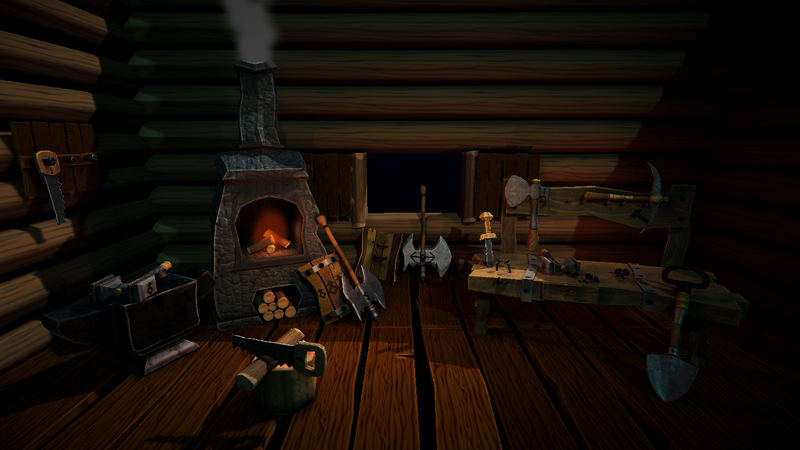 This package contains 16 3D models with hand painted textures related to crafting and mining. Also includes weapon and shield. Tools have two types of textures ( rock and iron ). -Axe, Knife, Two handed axe, Shield, Showel, Hammer, Anvil, Pickaxe, Hanger, Saw, Log, 3 types of nails, Forge, Work bench.